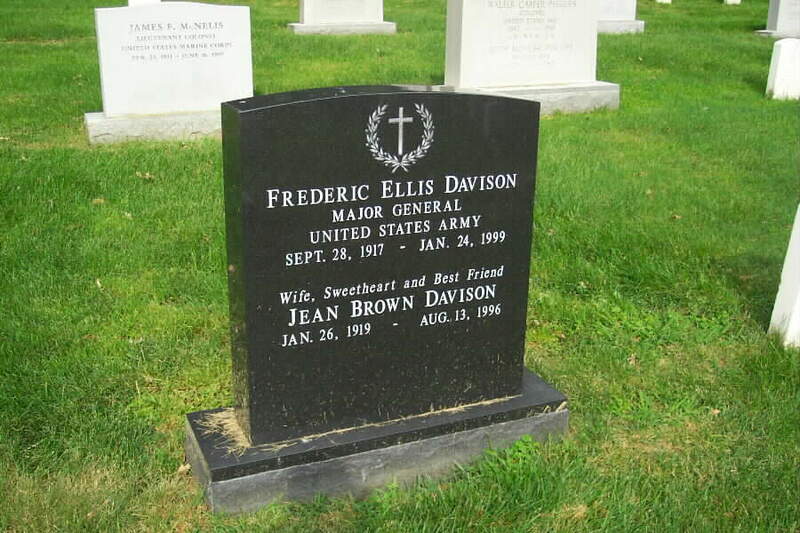 Frederic Ellis Davison, 82, a retired Army major general who was a decorated veteran of two wars and an executive assistant to the president of Howard University, died at Walter Reed Army Medical Center January 24, 1999 following surgery for a kidney ailment. General Davison lived in Washington and was a native of the city. He graduated from Dunbar High School and, in 1938, from Howard University and was commissioned a second lieutenant in the Army Reserve through the Reserve Officers' Training Corps. He also received a master's degree in zoology from Howard, and during his military career, he received a master's in international affairs from George Washington University. 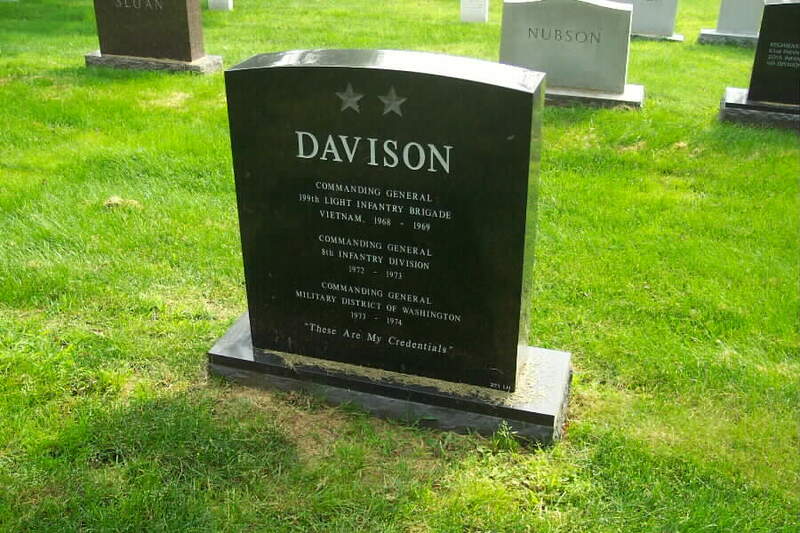 General Davison was called to active duty in the Army in 1941 and served as an infantry officer in Italy in World War II. After the war, he served at various posts in the United States, including Washington, and in Germany and South Korea. He also graduated from the advanced course at the Infantry School at Fort Benning, Georgia, the Command and General Staff College at Fort Leavenworth, Kansas, and the Army War College at Carlyle Barracks, Pennsylvania. During the war in Vietnam, General Davison commanded the 199th Infantry Brigade during the Tet offensive in 1968. He later commanded the 8th Infantry Division in Germany. His final assignment before retiring in 1974 was as commanding general of the Military District of Washington. He was executive assistant to the president of Howard from 1975 until retiring a second time about 1985. At Howard, he helped streamline computer operations. He also worked in community development, and he had a shelter for the homeless named in his honor in recognition of his work for the homeless. 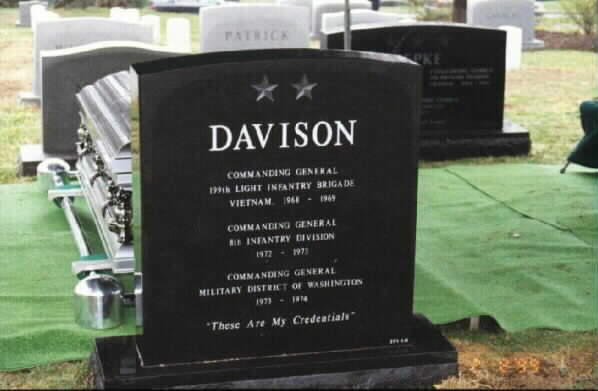 General Davison's military decorations included two awards of the Distinguished Service Medal, the Legion of Merit, the Distinguished Flying Cross, the Bronze Star, the Air Medal with 19 oak leaf clusters, the Army Commendation Medal and two awards of the Combat Infantry Badge. 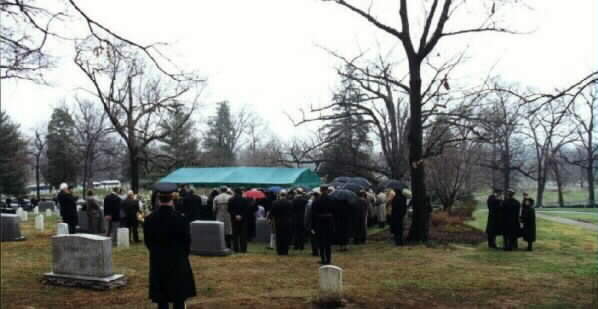 He was a member of the Kappa Alpha Psi Fraternity, the National Conference of Christians and Jews, the Stoddard Baptist Home for the Elderly, the U.S. Army Distaff Foundation, The Rock, which is a military group, and the 199th Infantry Brigade Association. 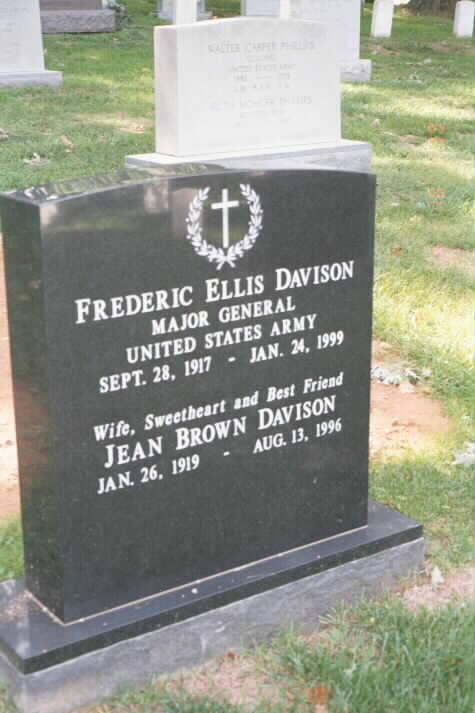 His wife, Jean Brown Davison, died in 1996. Survivors include four daughters, Jean D. Eubanks of Fairfax, Andrea D. Roberts of Chicago, Dayle A. Davison of New York City and Carla M. Davison of Washington; four grandsons; and a great-grandson. On Sunday, January 24, 1999, beloved father of Jean D. Eubanks, Andrea D. Roberts, Dayle A. Davison and Carla M. Davison. 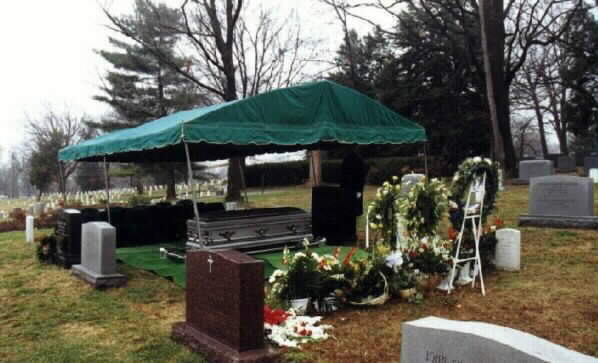 Also surviving are four grandchildren, Musa, Christopher, Frederic and Nazir; a great grandson, Xavier; son-in-law, Shafqat Khan; granddaughter-in-law, Barbara Eubanks; other relatives and friends. On Sunday, from 2 to 4 p.m., friends may call at Dunbarton Chapel, Howard University Law School, 2900 Van Ness St., NW. 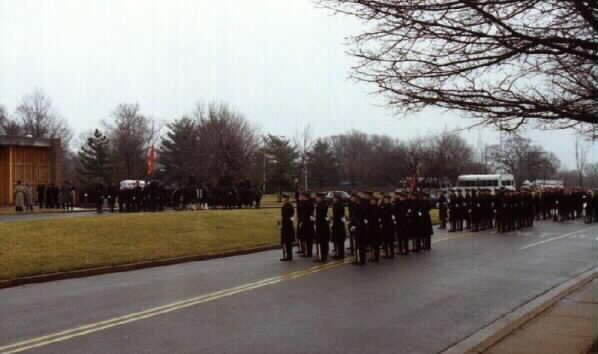 Mass of Christian Burial will be offered at 10:45 a.m., Tuesday, February 2 at Fort Myer Memorial Chapel. 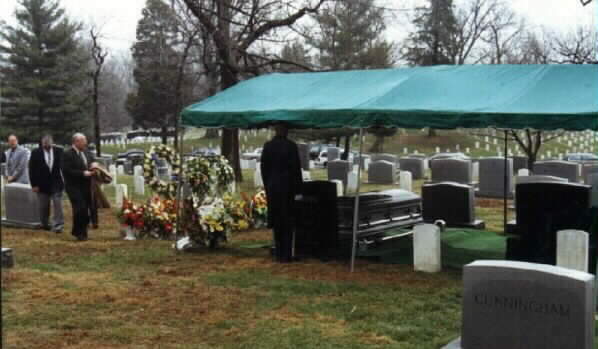 Interment Arlington National Cemetery. Contributions in his memory may be made to Howard University School of Law, Huver I. Brown Award, 2900 Van Ness St., NW, Washington, DC 20008. The words are borrowed from the famous comment made during World War II by Brigadier General Charles Conham when his 8th Infantry Division won the surrender of a German force. A higher-ranking German officer haughtily asked what credentials Conham had to accept the Germans' surrender. Conham gestured to some of the 8th Infantry soldiers who had fought their way through Europe and said simply, "These are my credentials." For those who knew Davison, himself a World War II veteran, it is very fitting that this tribute to soldiers is on his headstone. But there is much more that should be said about the Washington native and Army pioneer, who died this year at age 81 at Walter Reed Army Medical Center. Davison was the first black person to command an Army brigade in combat, leading the 199th Infantry in Vietnam during the Tet Offensive. He also was the first black person to reach the rank of major general and to command a division, leading the 8th Infantry in Bad Kreuznach, Germany, in 1972-73. Davison was born in Washington in 1917 and received a bachelor of science degree in zoology from Howard University in 1938. He was called to active duty in 1941 and fought with the infantry during its brutal fight through Italy. 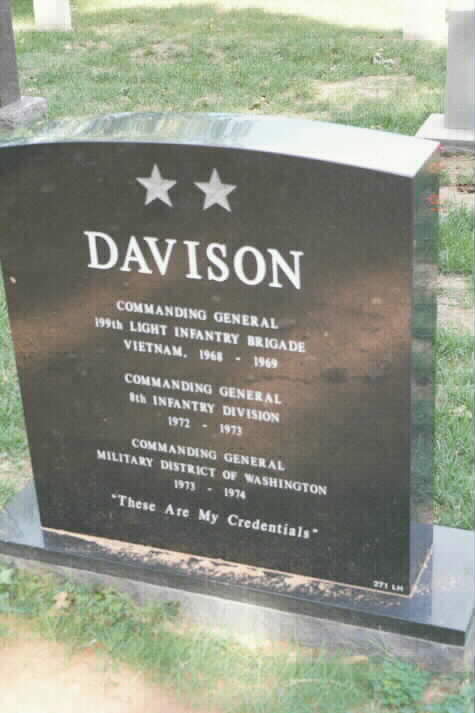 Davison made a career of the Army, and his final assignment before retiring in 1974 was as commanding general of the Military District of Washington. He then began a second career, serving as executive assistant to the president of Howard University from 1975 to 1984. 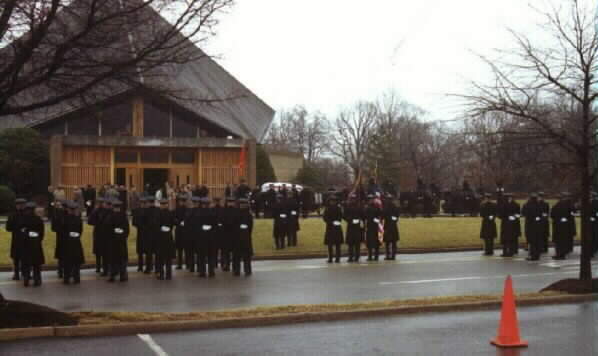 Davison was a man who had a profound influence on those who served with him or under him, judging from some of the eulogies delivered at his funeral. Dennis Hightower, a Harvard professor who served with Davison in Vietnam, said Davison was a strong mentor who was unafraid to "call you a knucklehead if your logic was flawed," according the Pentagram, a military newspaper. "I was going to be the best captain in the area. If I had to work twice as hard, then I'd work twice as hard. I don't like to be whipped by anything, and I don't like to admit that anybody is better than I am."